Los Angeles attempts to prepare for a new era, HIDTA gets an expansion, Indiana voters signal they are ready for medical marijuana, and more. Indiana Poll Has Overwhelming Support for Medical Marijuana . A new WTHR/HPI Indiana poll finds nearly three-quarters of likely Hoosier voters are ready for medical marijuana. The poll had 73% in support, with only 25% opposed. Even among Republicans, support was at 59%. Medical marijuana bills have been introduced, but have gone nowhere in the Republican-controlled state legislature. Los Angeles Marijuana Regulation Initiative Qualifies for March 2017 Ballot . The Los Angeles Marijuana Regulation and Safety Act  has qualified for the March 2017 ballot, the city clerk confirmed Thursday. A campaign led by the United Cannabis Business Alliance and the Citizens' Coalition to Protect Patients and Neighborhoods has collected enough validated signatures to qualify, the clerk said. The act would bring the city in compliance with new state medical marijuana regulations. Drug Czar Designates More Counties as High Intensity Drug Trafficking Areas . 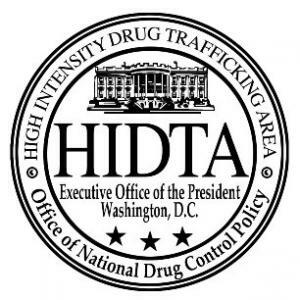 Director of the Office of National Drug Control Policy  (ONDCP -- the drug czar's office) Michael Botticelli announced Thursday that an additional 18 counties have been granted the High Intensity Drug Trafficking Area (HIDTA) designation. That designation will allow them access to federal anti-drug resources granted to HIDTAs. Six counties were added to the Appalachian HIDTA, two to the New York/New Jersey HIDTA, four to the Ohio HIDTA, two to the Baltimore/Washington HIDTA, and six to the Wisconsin HIDTA. Created by Congress in 1988, there are now 28 HIDTAs located in 49 states, Puerto Rico, the US Virgin Islands, and the District of Columbia. Turkey Okays Cannabis Production in 19 Provinces . The Turkish Food, Agriculture and Livestock Ministry announced late last month that it will allow marijuana production in 19 provinces across the country "in a bid to combat illegal production." News reports are unclear about whether this refers to recreational or medical marijuana or industrial hemp.